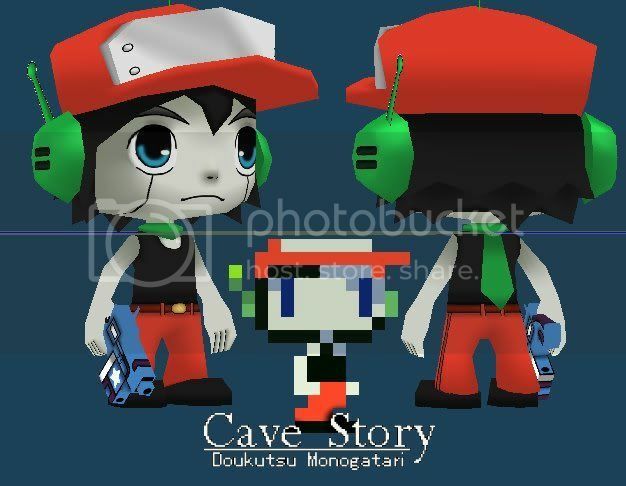 Quote is the playable silent protagonist of Cave Story. His name is only spoken once in-game by his companion Curly Brace. He is described as an "armed recon robot", built to resemble a human boy. However, unlike most robots, he and Curly Brace are fully sentient and possess a full range of emotions. All content hosted on Paperlegend's Papercrafts is copyright of its respective owners and I hold no claim of ownership on any items provided here besides those of which are stated otherwise.Paperlegend's Papercrafts is in no way affiliated with Sega, Nintendo, Capcom or any other company's content on this site. Paperlegend. Awesome Inc. theme. Powered by Blogger.